Check out my children’s novels, book reviews, blogs, poetry and more. Head straight to the kid’s section if you’re looking for background on Dog Gone and In the Dark. You’ll find writing tips there, too. My short story ‘All the Light’ is now up on the Meanjin blog. Also — great news. In the Dark is out! And a brand-new version of Dog Gone is too. Huge thanks to Kathryn Duncan at Celapene Press. In the Dark had its first launch at the Melbourne Writers Festival as part of the Hot off the (Small) Press event. Check out my pitch. The double launch for In the Dark and the re-issued Dog Gone in December was a hoot. The event was hosted by Eastern Regional Libraries and Celapene Press with Euan Mitchell doing the launch. Both books are available in any good bookshop. Or your local library. 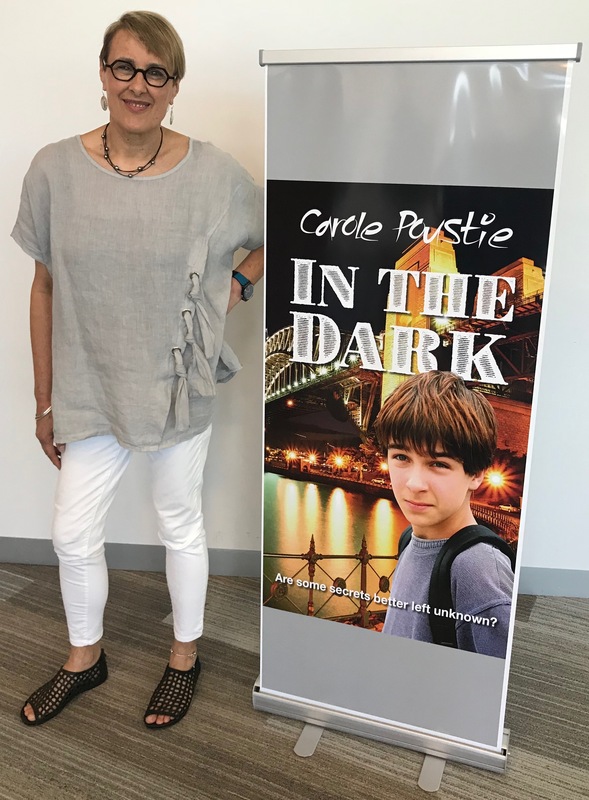 Carole Poustie is a novelist and poet. She lives in Melbourne. Enter your email address to follow Carole Poustie and receive news of new posts by email.